Maintain your planter baskets or troughs easily with help from the Panacea Bulk Coco Liner. 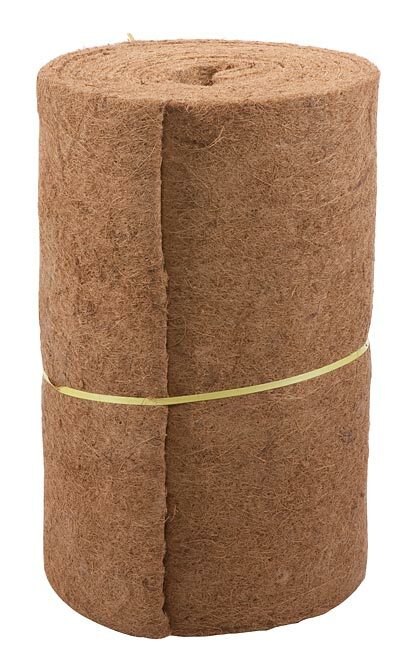 This roll of coco fabric allows you to refresh the liners in your baskets as needed. Simply cut the size needed from this roll, and shape it to fit in your planter. This liner provides a healthy bed for soil, keeping your planters tidy and retaining moisture in the potting mix. Extend the life of your planter baskets with this Bulk Coco Liner.